Pamper your car with CASTROL OIL! The GrabHitch team is constantly exploring various ways to collaborate with companies to offer both new and existing drivers value-added incentives, and we’re happy to be rolling out yet another win-win collaboration tomorrow (Sat 23rd) for all drivers who are thinking of joining the community! This promotion is catered exclusively to new drivers who have not signed up with GrabHitch. 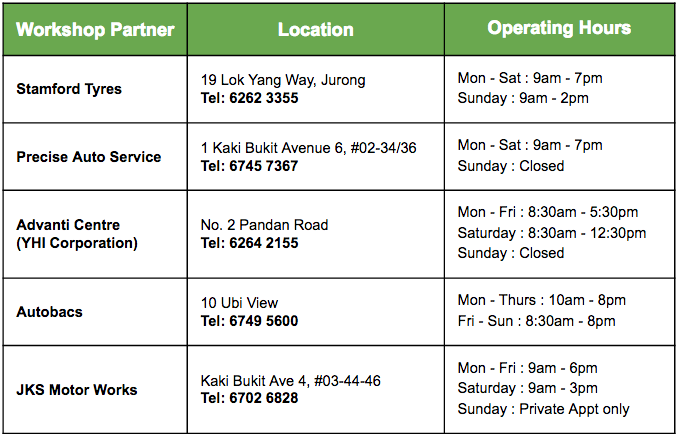 In partnership with Castrol Oil and the 5 workshops listed below, all drivers who send their vehicles in for servicing at these venues between 23rd – 30th July will be given the opportunity to receive $40 credit in their Grab wallets! And that’s it! After their ride, they will automatically receive $40 credit in their Grab wallet! Is your car due for servicing soon? Well, drive down to any one of our 5 partner workshops below, choose Castrol as your engine oil of choice and you’ll get your special referral code! Key in that code as you are signing up, do just ONE ride before the end of the month and get $40 credit on top of your first GrabHitch ride fare! What are you waiting for? Book an appointment with our partners now!